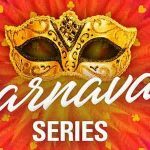 Poker players are posting in huge numbers on online poker forums that the mysterious player with the screen name of “RaiseOnce” on PokerStars is none other than the adulated, fearsome and sometimes loathed Phil Ivey. 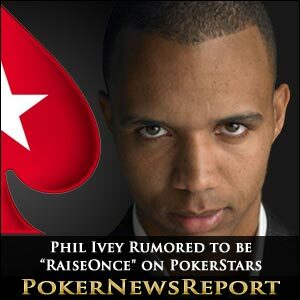 RaiseOnce hails from Mexico, where Phil Ivey is known to have a home. But the similarities don’t end there. Prior to Black Friday, observers noted that Ivey became disconnected on Full Tilt Poker at the same time as RaiseOnce on PokerStars. The fact that both re-connected at virtually the same time led many to make the assumption that the players are one and the same. Similarities in playing style, number of simultaneous tables played, text language used, stopping play during losing sessions and playing in limited tournaments with only the highest of buy-ins are also the many reasons why poker fans believe they have identified the eight-time World Series of Poker (WSOP) bracelet winner at PokerStars under the RaiseOnce moniker. Pokertableratings lists RaiseOnce as having lost $100,408 in 22,100 hands dealt at PokerStars’ ring game tables since the middle of 2009. However, RaiseOnce took home the $25,500 no-limit hold’em heads-up WCOOP event for $348,750 on PokerStars in 2010. In addition to that win, bluffmagazine also lists RaiseOnce as having won $54,611 in other multi-table tournament action on the world’s number 1 poker site. Ivey refused to play in this year’s 2011 WSOP, saying that it was not fair to other players who still haven’t been paid by Full Tilt, the beleaguered poker site that sponsored Ivey for a number of years. 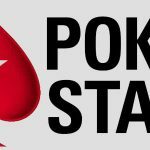 Some poker forum posters expressed anger that the pro might be back at the tables at PokerStars. As a representative of Full Tilt, it is only natural that players with frozen bankrolls on the site would still be angry. However, with Full Tilt set to be sold to Group Bernard Tapie and players expected to be reimbursed after all the details are ironed out, including the U.S. Department of Justice being involved in the asset forfeiture and eventual sale, how long can players continue to villify Ivey? As arguably the world’s best all around poker player, I’m sure that many more players would rather see Ivey in action at both the live and virtual poker tables instead of not playing. It’s good for poker when a player of his exalted status is playing instead of sitting on the sidelines. Isn’t it time to cut him some slack? 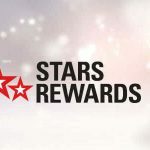 With PokerStars’ Turbo Championship of Online Poker (TCOOP) scheduled for January 19th to 29th, many poker players and fans will undoubtedly be watching how RaiseOnce fares in competition at the new, fast-paced tournament series. Stay informed with all the latest poker news at Poker News Report.